Hair Loss: How Much is Normal? Help, My Hair is Falling Out! How Much Is OK? Hair loss can be incredibly scary, especially when you don't know what's causing it. But how much hair loss is normal? What could be causing yours? And most importantly, when you should you see a doctor? 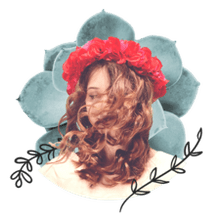 While hair loss is normally thought of as a "guy problem," women make up 40% of American hair loss sufferers, according to the American Hair Loss Association. Figuring out why a woman is losing hair is tricky. Hair loss in woman can be caused by a host of issues, whereas with men it can almost always be blamed on hereditary male pattern baldness. Here, we discuss what's normal and what might not be. Everyone loses between 40 and 120 strands a day. How much you lose is dependent on how much hair you have, your age, your hormones (think post-pregnancy shedding, which is very common) and your hair's growth cycle. People with fine hair tend to have more strands and therefore will lose more hair daily than their thicker-haired sisters and brothers. Your hair also thins as you get older, particularly after menopause for women. Shedding season. The life cycle of a typical strand of hair is between 24 and 72 months. During this time, a hair follicle goes through 3 stages: a growth stage and a resting stage, which leads to the shedding stage. Seasonality. Some experts believe people lose more hair in the fall than in any other season. This may be tied to the heat in the summer, but no one knows for sure. Aging. Marc Avram, MD, a Manhattan hair transplantation specialist, told Elle Magazine, "As we get older, follicles shrink, producing skinnier, shorter strands; then the follicles start to die off. That rate and the extent of that process is a matter of genetics." Post-partum Losing more hair than usual in the months after you give birth is normal. Find out why and when you can expect it to stop in the article, Help! I Had a Baby and Now My Hair is Falling Out. Some women suffer from hormonal imbalances that can lead to female pattern hair loss. Women with female pattern hair loss usually experience thinning at the front and top of the scalp. If you notice your part is getting wider or you can see your scalp through your hair, you may consult a doctor for blood tests. 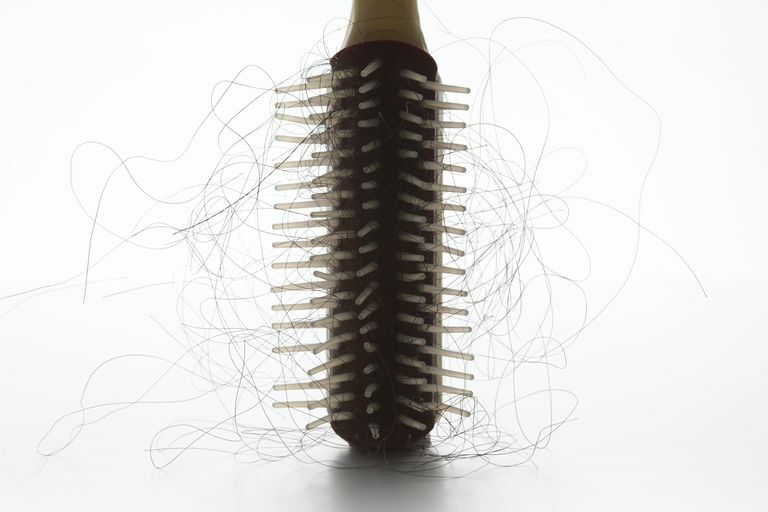 Female pattern hair loss is tied to hormones, which can be regulated under a doctor's care. For severe cases, you might consult a "trichologist," a physician who specializes in hair loss. Temporary hair loss may be caused by medications or illness. To stop this hair loss, you may consider changing medications. If your hair loss is from illness, once you treat the vitamin deficiency or illness, your hair should grow back. Anemia. According to dermatologist George Cotsarelis, M.D., director of the University of Pennsylvania Hair and Scalp Clinic, iron deficiency (anemia) is a common cause of hair loss. The Mayo Clinic reports about 20 percent of women suffer from an iron deficiency. A simple blood test can determine if you have anemia. Illness or intense stress Sometimes hair loss occurs as a result of illness. Stress, excessive weight loss, iron deficiency, lupus and thyroid disorders can also cause hair loss. Drug-induced Hair loss can be a side effect of some medications. Here's a short list of medications that can lead to premature and temporary hair loss, according to the American Hair Loss Association: blood thinners, arthritis medications, bipolar medications, antidepressants, cholesterol, high blood pressure medications (beta blockers), inflammatory drugs and ulcer medications are known to push the hair follicles prematurely into the resting phase. If you are losing hair, you might consider the types of medications you take. Read the drug manufacturer's complete warnings or ask your pharmacist if hair loss is a known side effect. See the full list of potential medication ties to hair loss on the American Hair Loss Association Website. Oral contraceptives Birth control pills can trigger hair loss in some women who are sensitive to hormonal imbalances. Hair loss can start while taking the pill or in the months after you stop. Hair pulled too tightly You can cause hair loss when you pull your hair too tightly over time by putting it in cornrows, tight brands, tight ponytails and hair extensions. These can cause trauma to the hair follicles. There are a battery of tests that can be conducted by a doctor to figure out hair loss causes. You can find out more on the American Association of Hair Loss website. As for treatment, more and more over-the-counter hair loss treatments hit the market every year but the only FDA-approved hair loss treatment is minoxidil. Minoxidil (commonly known as Rogaine) works in 60-70 percent of cases by improving the follicle's ability to produce hair. Read more about treatment options for hair loss.